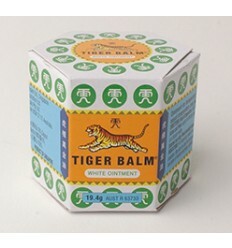 Indications: For temporary relief of muscular aches and pains of muscles and joints, arthritis, rheumatism and backaches. For relief of nasal congestion of colds. Ingredients (w/w): Mint Oil Dementholised 16%, Cajuput Oil 13%, Camphor 11%, Menthol 8%, Clove Bud Oil 1.5% and Paraffin to 100%.